This is what Chinatown in Brisbane looks like. It's not exactly downtown Shanghai, and there are very few Chinese people wandering around it, but it does have pretty much all the elements of a Chinese town as far as I can see. For a start, what looks like a pedestrian zone down the middle is actually a road leading in and out of the hulking great carpark to the left. Be careful, all you pedestrians! A car will come whizzing past at any minute, and there ain't no zebra crossing there to save you. Should you survive the walk across the carpark entrance, you will be enchanted by the understated feng shui elements adorning the site - a giant red and silver fish seems to be leaping out of the concrete outside the entrance to the Burlington Chinese Supermarket, and there is a lucky pond with a few lacklustre turtles in it underneath that giant red metal China Pavilion lookalike. I'm not sure if the pedestrian overpass from the carpark to the building opposite has any feng shui advantages, but it is really ugly and it sure looks like it was cobbled together without planning permission or adherence to building standards. Pretty Chinese then. Inside the Burlington Supermarket I can buy roast duck, fresh tofu, dumpling wrappers and extra-fat pork mince. Last time I was in Brisbane I even managed to purchase a giant piece of pork skin, with a view to making xiaolongbao, and I believe it may still be languishing in the depths of my sister's freezer, unused. Might want to check on that sis. 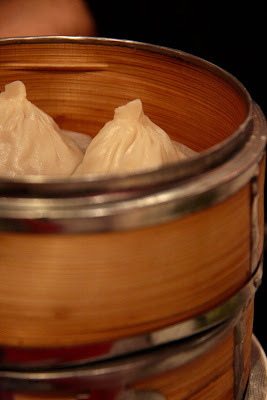 I did have some delicious xiaolongbao though, not far from Chinatown at The Bamboo Basket on Grey Street. This place is the first restaurant in Brisbane to serve these lovely little soup-filled dumplings, and they even have a street-side window where you can watch the dumping chef at work, much like the concept at Taiwanese dumpling chain Din Tai Fung. 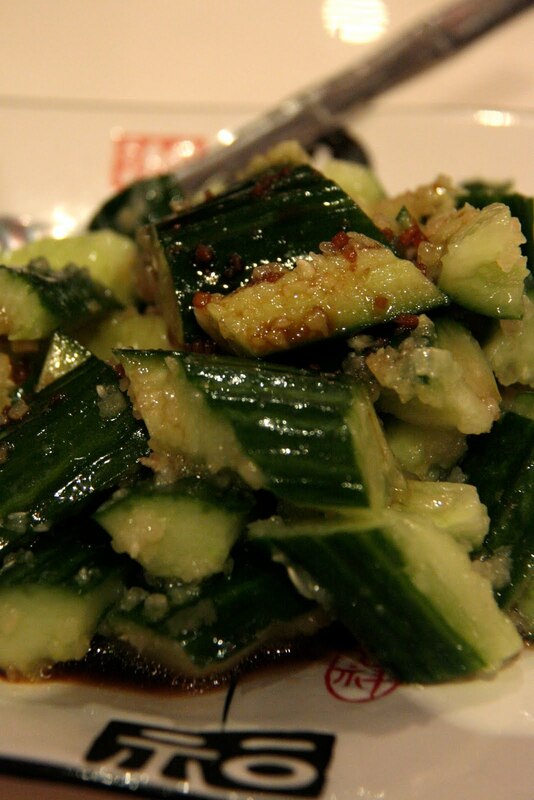 I also tried their hong shao rou (red-cooked pork) - sticky and delicious, and a tasty cold cucumber dish. 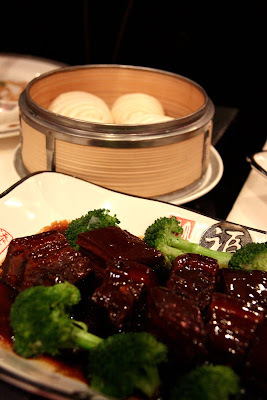 When the bill arrived I thought that we had eaten pretty well for 126 yuan (about $20), until I realised it was actually for $126. Bugger.